While most trichoderma molds are non-pathogenic, other types have been linked to pulmonary and even hepatic (liver) infections. When it produces mycotoxins, trichoderma acts similarly to stachybotrys. Trichoderma is also extremely damaging to building materials. It contains an enzyme that destroy wood and paper products as well as textiles. This leads to rot and causes these structure to crumble. A trichoderma mold infestation must be dealt with professionally to stop the destruction of building materials and prevent further health hazards. Green mold caused by Trichoderma harzianum is characterized by an aggressive, white mycelium causing a soft decay. Masses of spores that eventually form are emerald green, if left untouched. Heavily infested patches of compost are barren. This is currently the most important disease in the U.S. agricultural industry. Many farms spread salt on the compost in affected areas when green mold is first recognized. Strict sanitation is essential. Shelving, trays, walls, floors, etc. may be surface disinfested as a matter of routine, but it is done with a sense of urgency following an outbreak of a disease. Many commercial products are available for cleaning surfaces. The base ingredients in these materials include chlorine, iodine, phenol, or quaternary ammonium, among others. Surface disinfectants are used farm-wide, from equipment sanitation to room washdowns to foot-dip solutions to picking basket prewash. Other green molds may be better defined as indicators since they don’t seem to be as aggressive as T. harzianum. These species of Trichoderma also sporulate on the casing surface and may sporulate on infected mushrooms. These fungi indicate that carbohydrates are available, possibly due to inadequate nitrogen supplementation during Phase I or undercomposting. T. viride reportedly produce toxins that dissolve mushroom cells walls. A wet compost low in ammonia prior to pasteurization, flies, poor sanitation, anaerobiosis, and other factors influence green mold. These fungi are common in sawdust and commonly occur in the production of specialty mushrooms. Trichoderma is often mistaken for Penicillium or Aspergillus molds (and vice versa), being that all three look very similar and are not easy to tell apart without the use of a microscope. Most Trichoderma strains have no sexual stage but instead produce only asexual spores. However, for a few strains the sexual stage is known, but not among strains that have usually been considered for biocontrol purposes. The sexual stage, when found, is within the Ascomycetes in the genus Hypocrea. Traditional taxonomy was based upon differences in morphology, primarily of the asexual sporulation apparatus, but more molecular approaches are now being used. Consequently, the taxa recently have gone from nine to at least thirty-three species. Most strains are highly adapted to an asexual life cycle. In the absence of meiosis, chromosome plasticity is the norm, and different strains have different numbers and sizes of chromosomes. Most cells have numerous nuclei, with some vegetative cells possessing more than 100. Various asexual genetic factors, such as parasexual recombination, mutation and other processes contribute to variation between nuclei in a single organism (thallus). Thus, the fungi are highly adaptable and evolve rapidly. There is great diversity in the genotype and phenotype of wild strains. While wild strains are highly adaptable and may be heterokaryotic (contain nuclei of dissimilar genotype within a single organism) (and hence highly variable), strains used for biocontrol in commercial agriculture are, or should be, homokaryotic (nuclei are all genetically similar or identical). This, coupled with tight control of variation through genetic drift, allows these commercial strains to be genetically distinct and nonvariable. This is an extremely important quality control item for any company wishing to commercialize these organisms. So far as the author is aware, different strains of Trichoderma control every pathogenic fungus for which control has been sought. However, most Trichoderma strains are more efficient for control of some pathogens than others, and may be largely ineffective against some fungi. The recent discovery in several labs that some strains induce plants to “turn on” their native defense mechanisms offers the likelihood that these strains also will control pathogens other than fungi. Life cycle Fungal thalli are shown in the figure at the beginning of this web page. 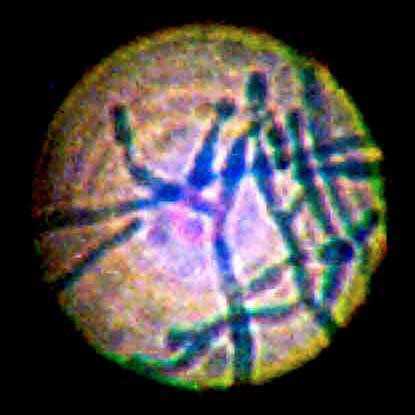 The organism grows and ramifies as typical fungal hyphae, 5 to 10 ?m in diameter. 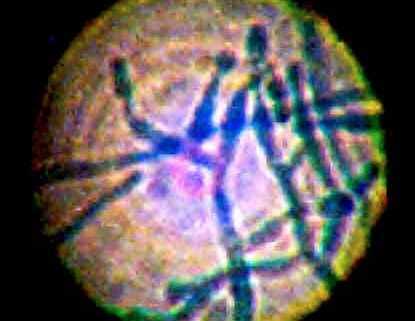 Asexual sporulation occurs as single-celled, usually green, conidia (typically 3 to 5mm in diameter) that are released in large numbers. Intercalary resting chlamydospores are also formed, these also are single celled, although two or more chlamydospores may be fused together. Trichoderma spp. possess innate resistance to most agricultural chemicals, including fungicides, although individual strains differ in their resistance. Some lines have been selected or modified to be resistant to specific agricultural chemicals. Most manufacturers of Trichoderma strains for biological control have extensive lists of susceptibilities or resistance to a range of pesticides. These versatile fungi are used commercially in a variety of ways, including the following: Foods and textiles: Trichoderma spp. are highly efficient producers of many extracellular enzymes. They are used commercially for production of cellulases and other enzymes that degrade complex polysaccharides. They are frequently used in the food and textile industries for these purposes. For example, cellulases from these fungi are used in “biostoning” of denim fabrics to give rise to the soft, whitened fabric–stone-washed denim. The enzymes are also used in poultry feed to increase the digestibility of hemicelluloses from barley or other crops. Biocontrol agents: As noted, these fungi are used, with or without legal registration, for the control of plant diseases. There are several reputable companies that manufacture government registered products. Some of these companies are listed at the end of this web page. This site will not knowingly list any nonregistered products or strains offered for sale in commercial agriculture even though these products are common and their sale is widely ignored by governmental regulatory agencies. Plant growth promotion: For many years, the ability of these fungi to increase the rate of plant growth and development, including, especially, their ability to cause the production of more robust roots has been known. The mechanisms for these abilities are only just now becoming known. Some of these abilities are likely to be quite profound. Recently, we have found that one strain increases the numbers of even deep roots (at as much as a meter below the soil surface). These deep roots cause crops, such as corn, and ornamental plants, such as turfgrass, to become more resistant to drought. Abdel-Gawad, K.M., & Zohri, A.A., Fungal flora and mycotoxins of six kinds of nut seeds for human consumption in Saudi Arabia, Mycopathologia 124 (1993) 55-64. Aisner, J., Schimpff, S.C., Bennett, J.E., Young, V.M., Wiernik, P.H., Aspergillus infections in cancer patiens. Association with fireproofing materials in a new hospital. J.Am. Med. Assoc. 235 (1976) 411-412. Ajello, L., Hyalohyphomycosis and phaeohyphomycosis: two global disease entities of public health importance. Eur. J. Epidemiol. 1(1986) 243-251. Al-Suwaine, A.S., Bahkali, A.H., Hasnain, S.M., Seasonal incidence of airborne fungal allergens in Riyadh, Saudi Arabia. Mycopathologia 145(1999)15-22. Alberts, B., Bray, D., Lewis, J., Raff, M., Roberts, K.,Watson, J.D., in “Molecular Biology of the Cell”, published by Garland Publishing, Inc, 1983. Ali, M.I., Salama, A.M., Ali, M.T., Possible role of solar radiation on viability of some air fungi in Egypt. Zentralbl. Bakteriol. Parasitendkd. Infektionskr. Hyg. 131 (1976) 757-759. Alexopoulos, C.J., Mims, C.W., Blackwell, M., Introductory mycology 4th ed. John Wiley, New York, 1996, 868. American Conference of Governmental Industrial Hygtienists, (ACGIH) Cincinattati, Ohio 1989, Guidelines for the assessment of bioaerosols in the indoor environment. Anaissie, E., Kantarjian, H., Jones, P., Barlogie, B., Luna, M., Lopez-Berestein, G., Bodey, G., Fusarium. A newly recognized fungal pathogen in inmunosuppresed patiens. Cancer 57 (1986) 2141-2145. Andersen, A.A., 1958. New sampler for the collection, sozing, and enumeration of viable airborne particles. J. Bacteriol. 76 (1958) 471-484. Arnow, P.M., Andersen, R.L., Mainous, P.D., Smith, E.J., Pulmonary aspergillosisi during hospital renovation. Am Rev. Resp. Dis. 118 (1978) 49-53. Arnow P.M,, Sadigh, M., Costas, C., Weil, D., Chudy, R., Endemic and epidemic aspergillosis associated with in-hospital replication of Aspergillus organisms. J Infect Dis 164 (1991) 998-1002. Arx, J.A., Guarro, J., and Figueras, M.J., The ascomycete genus Chaetomium. Nova Hedwigia Beiheft 14 (1986) 1-162. Arx, J.A.von, Rodriguez de Miranda, L., Smith, M.T., and Yarrow, D., The genera of Yeasts and Yeast like fungui. C.B.S., Stud. Mycol. 14 (1977). Bandoni, R.J., Aquatic hyphomycetes from terrestrial litter. In: Wicklow, D.T., Carrol, G.C., eds. The fungal comunity. Its organization and role in the ecosystem. New York: Marcel Dekker Inc., 1981. 693 – 708. Bissett, J., 1984, 1991, A revision of the genus Trichoderma I,II,III Can. J. Bot. 62 (1991) 924-931; Can.J.Bot. 69 (1991) 2357-2372; Can. J. Bot. 69 (1991) 2373-2417. Bocquet, P., Brucker, G., Integrated struggle against aspergillosis at the level of a single hospital or a hospital cluster. Pathol Biol (Paris) 42(1994)730-736. Burnett, H.L., and Hunter, B.B., Illustrated Genera of imperfect Fungi. MacMillan Publ. Co., Amsterdam. 1987. Bodey, G.P., Vartivarian, S., Aspergillosis, Eur. J. Clin. Microbiol. Infect. Dis., 8 (1989) 413-437. Burge, H.A., Boise, R.J., Rutherfor, J.A., and W.R. Solomon. Comparative recoveries of airborne fungus spores by viable and non viable modes of vollumetric collection. Mycopathologia 61(1977)27-33. Burge, H.A., and W.R. Solomon. Sampling and analysis of biological aerosols. Atmos. Environm. 21(1987)451-456. Burgess, L.W., Liddell, C.M., Summerell, B.A., Laboratory manual for Fusarium research, 2nd ed. University of Sydney, Sydney. 1988. Burton, J.R., Zachery, J.B., Bessin, R., et al Aspergillosis in four renal transplant recipients. Ann. Intern. Med. 77 (1972) 383-388. Buttner, M.P., Stetzenbach, L.D., Monitoring airborne fungal spores in an experimental indoor environment to evaluate sampling methods and the effects of human activity on air sampling. Appl. Environ. Microbiol. 59 (1993) 219-226. Calvo, M.A., Guarro, J., Suarez, G., Ramirez, C. Airborne fungi in Barcelona city (Spain). Mycopathology 71 (1980) 41-43. Calder?n-Garcidue?as, L., Delgado, R., Calder?n-Gardue?as, A., Meneses, A., Ruiz, L.M., De La Garza, J., Acuna, H., Villareal-Calder?n A., Raab-Traub, N., Devlin, R., Malignan neoplasms of the nasal cavity and paranasal sinuses: a series of 256 patients in Mexico City and Monterrey. Is air pollution the missing link? Otrolaryngol. Head Neck Surg. 122 (2000) 499-508. Carmichael, J.W., Chrysosporium and some other aleuriosporic hyphomycetes. Can. J. Bot. 40 (1962) 1137-1173. Carmichael, J.W., Kendrick, W.B., Connors, I.L., and Sigler, L., Genera of Hyphomycetes. University Alberta Press, Edmonton, 1980, 386 pp. Cifuentes Blanco, J., M. Villegas R?os, J.L. Villareal-Ord?z and S. Sierra Galv?n. Diversity of macromycetes in pine-evergreen oak forest in Neovolcanic Axis, Mexico. En Mycology in Sustainable Development: Expanding Concepts, Vanishing Borders, eds. M.E.Palm and I.H. Chapela, Parkway Publ., Boone, N.C.
Cole, G.T., and Kendrick, B., Taxonomic studies of Phialophora. Mycologia 65(1973)661-688. Cooley, J.D., Wong, W.C., Jumper, C.A., Straus, D.C., Correlation between the prevalence of certain fungi and sick building sindrom. Occup. Environ. Med. 55 (1998) 579-584. Cornet, M., Levy, V., Fleury, L., Lortholary, J., Barquins, S., Coureul, M.H., Deliere, E., Zittoun, R., Brucker, G., Bouvet, A., Efficacy of prevention by high-efficiency particulate air filtration or laminar airflow against Aspergillus airborne contamination during hospital renovation. Infect Control Hosp Epidemiol 20 (1999) 508-513. Cox & Wathes, Bioaerosols handbook, 1994. Dharmage, S., Bailey, M., Raven, J., Mitakakis, T., Thien, F., Forbes, A.,Guest, D., Abramson, M., Walters, E.H., Prevalence and residential determinants of fungi within homes in Melbourne, Australia, Clin Exp Allergy 29(1999)1481-1489. Davis, R., Summerbell, R., Haldane, D., Dufur, A., Yu, K., Broder, I., Dales, R., Kirkbride, J., Kauri, T., Robertson, W., Damant, L.; Federal – Provincial Working group on mycological Air quality in public buildings; Fungal contamination in public buildings: A guide to recognition and Management. Health Canada, 1995. De Hoog G.S., Hermanides-Nijhof, E.J., The black yeast and aallied hyphomycetes. Stud. Mycol. 15 (1977) 1-222. Citado por clasificaci?n de levaduras. Domsch, K.H., W. Gams, and T.H. Anderson. 1980. Compendium of soil fungi. Volume 1. Academic Press, London, UK. Emmanuel, S.C.,Impact to lung health of haze from forest fires: the Singapore experience. Respirology 5 (2000) 175-182. Ezeonu, I.M., Price, D.L., Simmons, R.B., Crow, S.A., Ahearn, D.G., Fungal production of volatiles during growth on fiberglass. Appl. Environ. Microbiol. 60 (1994) 4172-4173. Fiorina, A., Legnani, D., Fasano, V., Cogo, A., Basnyat, B., Passalacqua, G., Scordamaglia, A., Pollen mite and mould samplings by a personal collector at high altitude in Nepal. J. Investig. Allergol. Clin. Immunol. 8 (1998) 85-88. Flynn PM, Williams BG, Hetherington SV, Williams BF, Giannini MA, Pearson TA, Aspergillus terreus during hospital renovation. Infect Control Hosp Epidemiol 1993 Jul;14(7):363-5. Freire, F.C., Kozakiewicz, Z., Paterson, R.R., Mycoflora and mycotoxins of Brazilian cashew kernels. Mycopathologia 145 (1999) 95-103. Fresenius, G., 1850-1863 Beitr?ge zur Mykologie 111pp, 13 plates. H.L., Br?nner, Frankfurt. Furuhashi M, Efficiency of bacterial filtration in various commercial air filters for hospital air conditioning. Bull Tokyo Med Dent Univ. 25 (1978) 147-155. Gage, A.A., Dean, D.C., Schimert, G., Minsley, N., Aspergillus infection after cardiac surgery. Arch. Surg. 101 (1970) 384-387. Garrett, M.H., Rayment, P.R., Hooper, M.A., Abramson, M.J., Hooper, B.M., Indoor borne fungal spores, house dampness and associations with environmental factors and respiratory health in children. Clin. Exp. Allergy 28 (1998) 459-467. Gonzalez Glez. Minero, F.J., Candau, P., Gonzalez Glez Romano, M.L., Romero, F., A study of the aeromycoflora of Cadiz: relationship to anthropogenic activity. J. Investig. Allergol. Clin. Immunol. 2 (1992) 211-215. Gordon, G., Axelrod, J.L., Case report: prosthetic valve endocarditis caused by Pseudallescheria boydii and Clostridium limosum. Mycopathologia 89 (1985) 12-134. Gravesen S., Nielsen, P.A., Iversen, R., Nielsen, K.F., Microfungal contamination of Dump Buildings. Examples of risk constructions and risk materials. Environ. Health Perspect 107 (1999) 505-508. Green, V.W., D.Vesley, R.G., Bond, R.G., and Michaelsen. Microbiological contamination of hospital air. Appl. Microbiol. 10 (1962) 561-566. Grosse G, L’Age M, Staib F., Peracute disseminated course of fatal Aspergillus fumigatus infection in liver failure and corticoid therapy. A case report on the epidemiology, pathogenesis and diagnosis of the systemic course of Aspergillus infections. Klin Wochenschr 63 (1985) 523-528. Guyton, A.C. and Hall, J.E., in pp 481, 531, 532 of “Textbook of Medical Physiology” ed McGraw-Hill-Interamericana de Espa?a, 1996. Hancock, T.,Creating health and health promoting hospitals: a worthy challenge for the twenty-first century. 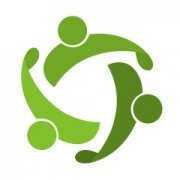 Int J Health Care Qual Assur Inc Leadersh Health Serv. 12 (1999) VIII-XIX. Hawksworth, D.L. and Kirsop, B.E., Ed. Living resources for biotechnology, Filamentous fungi, Cambridge University Press, 1988. Hawksworth, D.L., The fungal dimension of biodiversity: magnitude, significance, and conservation. Mycol. Res. 95(1991) 641-655. Hesler, L.R., and A.H. Smith, North American species of Lactarius. Univ. Michigan Press, Ann Arbor. xii+841pp. Hoog, G.S. de, and Guarro, J., Atlas of Clinical fungi, C.B.S., Baarn, The Netherlands. 1995. Hiipakka DW, Buffington JR1. Resolution of sick building syndrome in a high-security facility. Appl Occup Environ Hyg 2000 Aug;15(8):635-43. Hirst, Ann. appl. Biol. 39(1952)257. Hudson, H.J., Aspergilli in the air spore at Cambridge, Trans. Br. Mycol. Soc. 52 (1969)153-159. Jager E, Ruden H, Zeschmar-Lahl, B., Composting facilities. 2. Aerogenic microorganism content at different working areas of composting facilities. Zentralbl. Hyg. Umweltmed. 196 (1994) 367-379. Jimenez, M., Mateo, R., Querol, A., Huerta, T., Hernandez, E., Mycotoxins and mycotoxigenic moulds in nuts and sunflower seeds for human consumption. Mycopathologia 115 (1991) 122-128. Jones, W., Morring, K., Morey, P., Sorensen, W., Evaluation of the Andersen viable impactor for single stage sampling. Am. Ind. Hyg. Assoc. J., 46 (1985) 294-298. Kendrick, B., Key to the genera of the hyphomycetes. Mycologue, Waterloo. 1994, 107 pp. Krasinski, K., Holzman, R.S., Hanna, B., Greco, M.A., Graff, M., Bhohal, M., Nososcomial fungal pulmonary infections (Zygomycetes, Aspergillus sp.) developed in two premature infants in a special care unit (SCU) adjacent to an area of renovation. Infect. Control, 6 (1985) 278-282. Kreger-van Rij, N.J.W., The yeast, a taxonomic study, Elsevier Sci. Public, Amsterdam 1984. Citado por clasificaci?n de levaduras. Kyriakides, G.K., Zinnman, H.H., Hall, W.H., Arora, V.K., Lifton, J., DeWolf, W.C., Miller, J., Immunologic monitoring and aspergillosis in renal transplant patients., Amer J Surg 131 (1976) 246-252. Largent, D.L., How to identify Mushrooms to genus 1._ Macroscopic Features.Mad River Press, Eureka, Calif., 86 pp. Largent, D.L., and Baroni, T.J., How to identify Mushrooms to genus 6._ Modern genera. Mad River Press, Eureka, Calif.1986, vi+277 pp. Largent, D.L., and Thiers, H.D., How to identify Mushrooms to genus 2._ Field identification of genera. Mad River Press, Eureka, Calif. 1977, vi+32 pp. Largent, D.L., Johnson, D., and Watling. 1977 , How to identify Mushrooms to genus 3._ Microscopic features. Mad River Press, Eureka, Calif. 1988, viii+148 pp. Lentino, J.R., Rosenkranz, M.A., Michaels, J.A:, Kurup, V.P., Rose, H.D., Rytel, M., Nosocomial Aspergillosis. A retrospective review of airborne disease secondary to road construction and contaminated air conditioners. Amer. J. Epidemiol. 116 (1982) 430-437. Lie, T.S., Hofer, M.,Hohnke, C., Krizek, L., Kuhnen, E., Iwantscheff, A., Koster, O., Overlack, A.,Vogel, J., Rommelsheim, K., Aspergillosis following liver transplantation as a hospital infection. Dtsch. Med. Wochenschr. 112 (1987) 297-301. Loo, V.G., Bertrand, C., Dixon, C., Vitye, D., DeSalis, B., McLean, A.P., Brox, A., Robson, H.G., Control of construction-associated nosocomial aspergillosis in an antiquated hematology unit. Infect Control Hosp Epidemiol 17 (1996) 360-364. L?pez-Martinez, R., Ruiz Sanchez, D., Guadalupe Huerta, Jos?, Esquenaze, A., Alvarez, M?.T. Variaci?n estacional de hongos productores de alerg?a en el sur de la ciudad de M?xico. Allergol. et Immunopathol. 14 (1986) 43-48. Loudon KW, Coke AP, Burnie JP, Shaw AJ, Oppenheim BA, Morris CQ. Kitchens as a source of Aspergillus niger infection. J. Hosp. Infect. 32 (1996) 191-198. Mahgoub H. A., Prevalence of airborne Aspergillus flavus in Khartoum (Sudan) Aispora with reference to dusty weather and inoculum survival in simulated summer conditions. Mycopathologia 104 (1988) 137-141. Mahieu LM, De Dooy JJ, Van Laer FA, Jansens H, Ieven MM, A prospective study on factors influencing aspergillus spore load in the air during renovation works in a neonatal intensive care unit. J Hosp Infect 2000 Jul;45(3):191-7. McGrath, J.J., Wong, W.C., Cooley, J.D., Straus, D.C., Continually measured fungal profiles in sick building syndrome. Curr. Microbiol. 38(1999)33-36. Miller, O.K., Jr. And Miller, H.H., Gasteromycetes. Morphological and development features with keys to the Orders, Families, and Genera. Mad River Press, Eureka, Calif. X+157 pp. Nakajima T, Azuma E, Hashimoto M, Toyoshima K, Hayashida M, Komachi Y., Factors aggravating bronchial asthma in urban children (I)–The involvement of indoor air pollution. Nippon Koshu Eisei Zasshi 45 (1998) 407-422. Nielsen, K.F., Gravesen, S., Nielsen, P.A., Andersen, B., Thrane, U., Frisvad, J.C., Production of mycotoxins on artificially and naturally infested building materials. Mycopathologgia 145 (1999) 43-56. Nolard, N., Links between risks of aspergillosis and environmental contamination. Review of the literature. Pathol Biol (Paris) 42 (1994) 706-710. Nolard, N., Invasive aspergillosis: nosocomial origin of epidemics. Review of the literature. Bull Acad Natl Med 180 (1996) 849-856. Paden, J. W., A centrifugation technique for separating ascospores from soil. Mycopathol. Mycol. Appl. 33 (1967) 382-384. Petersen, R.H., Checklist of fungi of the Great Smoky Mountains National Park. National Park Service Management Report 29. Pieckkova, E., Jesenska, Z., Molds on house walls and the effect of their chloroform-extractable metaboliteson the respiratory cilia movement of one-day-old chicks in vitro. Folia Microbiol (Praha) 43 (1998) 672-678. Pitt, J., The genus Penicillium and its teleomorphic states Eupenicillium and Talaromyces, New York Academic Press, 1979. Raper, K.B., and Fennell, D.I., The genus Aspergillus, Ed. Robert E. Krieger Publishing Company, Malabar, Florida, 1965, pp. 239. Rhame, F.S., Prevention of nosocomial aspergillosis, J. Hosp. Infec. 18 (1991) 466-472. Aspergillus fumigatus, flavus, terreus. Rhame, F.S., Streifel, A.J., Kersey, J.H. Jr., McGlave, P.B., Extrinsic risk factors for pneumonia in the patient at high risk of infection. Am J Med 76 (1984) 42-52. Richardson MD, Rennie S, Marshall I, Morgan MG, Murphy JA, Shankland GS, Watson WH, Soutar RL. Fungal survelliance of an open haematology ward. J Hosp Infect 45 (2000) 288-292. Rose, H.D., Varkey, B., Deep mycotic infection in the hospitalized adult: a study of 123 patiens. Medicine 54 (1975) 499-507. Rose, H.D., Hirsch S.R., Filtering hospital air decreases Aspergillus spore counts. Am. Rev. Resp. Dis. 119 (1979) 511-513. Rotstein C, Cummings KM, Tidings J, Killion K, Powell E, Gustafson TL, Higby D., An outbreak of invasive aspergillosis among allogeneic bone marrow transplants: a case-control study. Infect Control 6 (1985) 347-355. Rossman A.Y., Tulloss, R.E., O’Dell, T.E., Greg Thorn, R., in “Protocols for an all taxa biodiversity inventory of fungi in a Costa Rican conservation area”, ed. Parkway Publishers, Inc. Boone, N.C., USA, 1998, 195 pp. Ruutu P, Valtonen V, Tiitanen L, Elonen E, Volin L, Veijalainen P, Ruutu T., An outbreak of invasive aspergillosis in a haematologic unit. Scand J Infect Dis 19 (1987) 347-351. Salkin, I.F., McGinnis, M.R., Dykstra, M.J., Rinaldi, M.G., Scedosporium inflatum, an emerging pathogen J. Clin. Microbiol. 26 (1988) 498-503. Lo aislan de una biopsia ?sea de una lesi?n osteomiel?tica de un ni?o de 6 a?os. Salama, A.M., Ali, M.I., El-Kirdassay, Z.H., Ali, T.M., A study of fungal radioresistance and sensitivity. Zentralbl. Bakteriol. Parasitendkd. Infektionskr. Hyg. 132 (1977) 1-13. Samson, A., Occurrence of moulds in modern living and working environments, Eur. J. Epidemiol. 1 (1985) 54-61. Sayer, W.J., Shean, D.B., and Ghosseiri, J., Estimation of airborne fungal flora by the Andersen sampler versus the gravity settling plate.J. Allergy 44 (1969) 214-227. Seltzer, J.M., Biological contaminants. J Allergy Clin Immunol 94 (1994) 318-326. Sessa A, Meroni M, Battini G, Pitingolo F, Giordano F, Marks M, Casella P., Nosocomial outbreak of Aspergillus fumigatus infection among patients in a renal unit? Nephrol Dial Transplant 1996 Jul;11(7):1322-4. Shearer, C.A., The freshwater ascomycetes. Nova Hedwigia 56 (1993) 1-33. Sherertz, R.J., Belani, A., Kramer, B.S., Elfenbein, G.J., Weiner R.S., Sullivan, M.L., Thomas, R.G., Samsa, G.P., Impact of air filtration on nosocomial Aspergillus infections. Unique risk of bone marrow transplant recipients. Am. J. Med. 83 (1987) 709-718. Simmons, E.G., Typification of Alternaria Stemphylium, and Ulocladium, Mycologia, 59 (1967) 67-92. Simmons, R.B., Price, D.L., Noble, J.A., Crow, S.A., Ahearn, D.G., Fungal colonization of air filters from hospitals. Am. Ind. Hyg. Assoc. J. 58 (1997) 900-904. Sivanesan, A., The bitunicate Ascomycetes and their anamorphs. J.Cramer, Vaduz, Germany. 1984, 701 pp. Sorenson, W.G., Fracer, D.G., Jarvis, B.B., Simpson, J., and Robinson, V.A., Trichothecene mycotoxinsin aerosolized conidia of Stachybotrys atra. Appl. Environm. Microbiol. 53(1987)1370-1375. Streifel, A.J., Stevens, P.P., Rhame, F.S., In-hospital source of airborne Penicillium species spores. J Clin Microbiol 25 (1987) 1-4. Summerbell, R.C., Krajden, S., and Kane, J., Potted plants in hospitals as reservoirs of pathogenic fungi. Mycopathology 106 (1989) 13-22. Summerbell, R.C., The heterobasidiomycetous yeast genus Leucosporidium in an area of temperate climate. Can.J.Bot 61 (1983) 1402-1410. Taplin, D., Mertz, P.M., Flower vases in hospitals as reservoirs of pathogens. The lancet II(1973)1279-1281. Thrower, S.L., Hong Kong Lichens, Urban council, Hong Kong, 1988., incluye fotos en color de 140 especies. Trujillo-Jurado, D., Infante Garc?a-Pantale?n, F., Gal?n Soldevilla, C., Dom?nguez Vilches, E., Seasonal and daily variation of Aspergillus Mich. Ex Fr. spores in the atmosphere of C?doba (Spain). Allergol. et Immunopathol., 18(1990) 167-173. Verhoeff A.P., van Wijnen, J.H., Boleij J.S., Brunekreef B.,van Reenen-Hoekstra E.S., Samsom, R.A; Allergy 45 (1990) 275-284. Verhoeff A.P., van Wijnen, J.H., Brunekreef B., Fischer, P., van Reenen-Hoekstra E.S., & Samsom, R.A., Allergy 47 (1992) 83-91. Verhoeff A.P., van Wijnen, J.H., Fischer, P., Brunekreef B., Boleij J.S., van Reenen-Hoekstra E.S., Samsom, R.A., Presence of viable mould propagupes in the indoor air of houses. Toxicol. Ind. Health 6 (1990) 133-145. Vermorel-Faure, O., Lebeau, B.,Malleret, M.R., Michallet, M., Brut, A., Ambroise-Thomas, P., Grillot, R., Risque fongique alimentaire au cours de l’agranulocytose. Controle mycologique de 273 aliments propos?s ? des malades hospitalis?s en secteur st?rile, La Presse M?dicale 22 (1993) 157-160. Vleggaar, R., Steyn, P.S., Nagel, D.W., Constitution and absolute configuration of austdiol, the main toxic metabilite from Aspergillus ustus. J. Chem. Soc. [Perkin 1] 1(1974) 45-49. Volkmann-Kohlmeyer, B., and Kohlmeyer, J., How to prepare truly permanent microscopic slides. The Mycologist 10 (1996)107-108. Walsh, T.J. and Dixon, D.M. Nosocomial aspergillosis: environmental microbiology, hospital epidemiology, diagnosis and treatment. Eur. J. Epidemiol. 5 (1989) 131-142. Woods GL, Davis JC, Vaughan WP., Failure of the sterile air-flow component of a protected environment detected by demonstration of Chaetomium species colonization of four consecutive immunosuppressed occupants. Infect Control Hosp Epidemiol, 10(1988)451-456. Yoshimura, I., Lichen Flora of Japan in Colour, Hoikusha Publ. Co., Osaka. 349 pp. Est? en Japon?s pero incluye muchas ilustraciones. Zak, J.C., and Wicklow, D.T., Response of carbonicolous Ascomycetes to aerated steam temperatures and treatment intervals. Canad. J. Bot 56 (1978) 2313-2318.